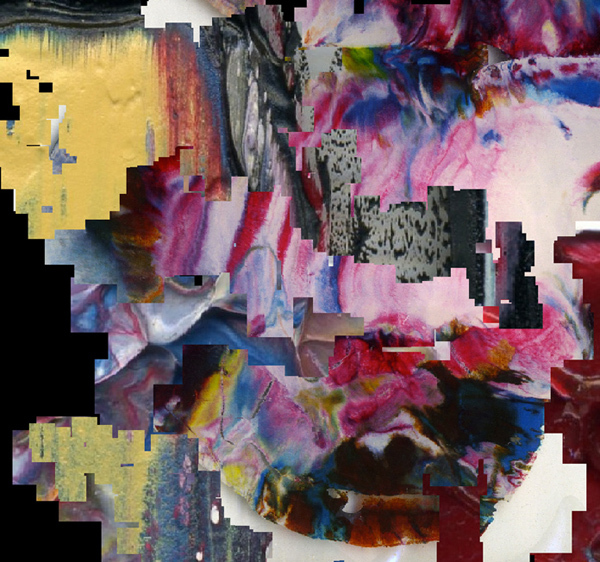 Automatic Abstract Painter No.3, Version 3.3 with screenshot images of the work at Nova award exhibition at RSA. 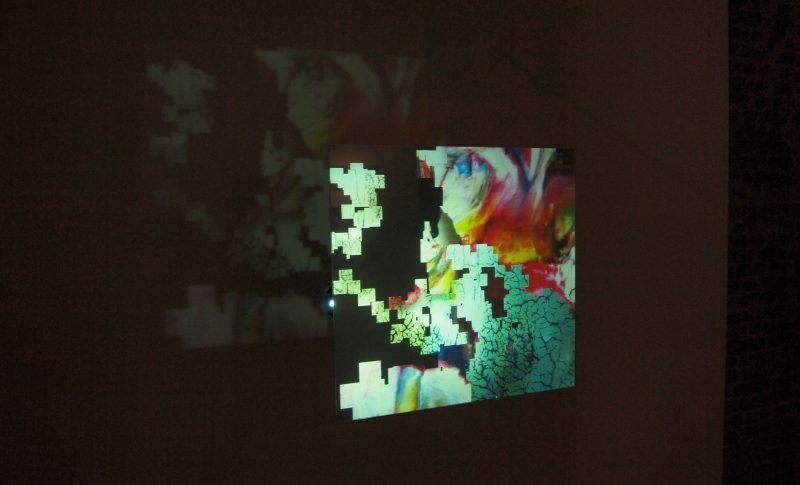 (2013) Medium: Digital Projector, Custom-made Screen, Laptop, Software (Max MSP Jitter). 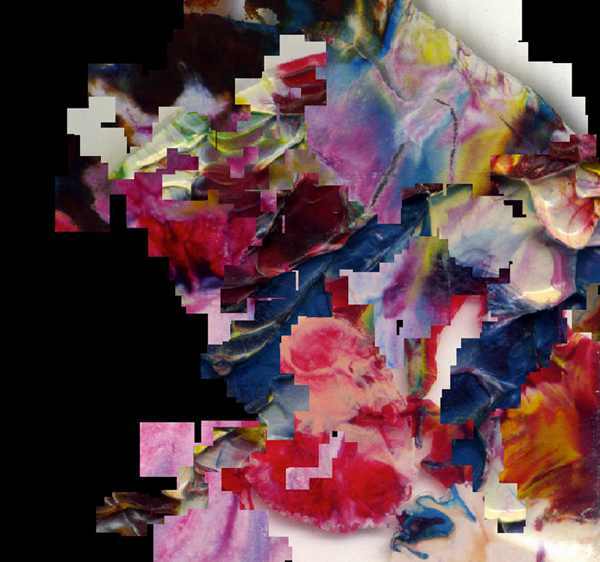 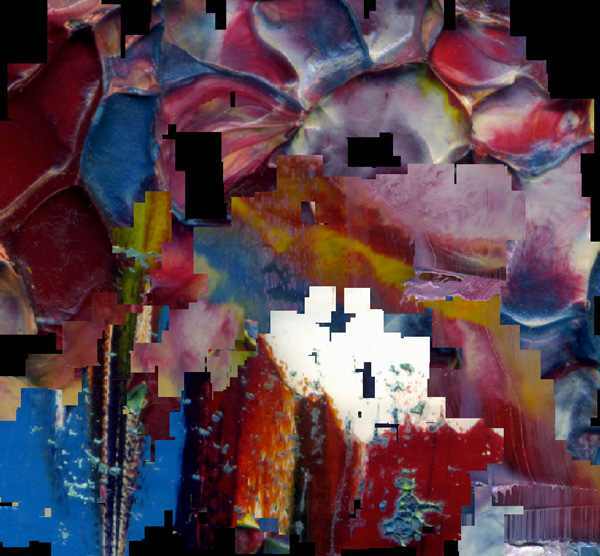 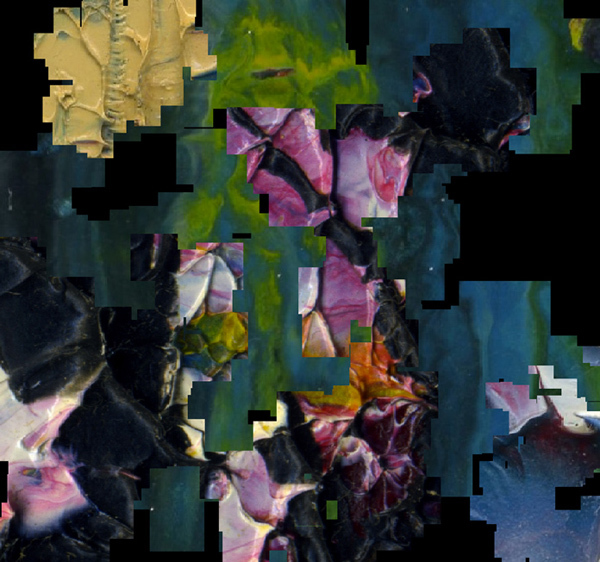 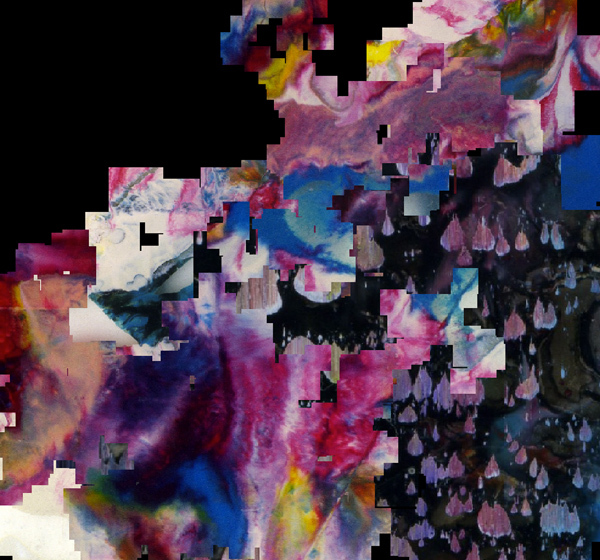 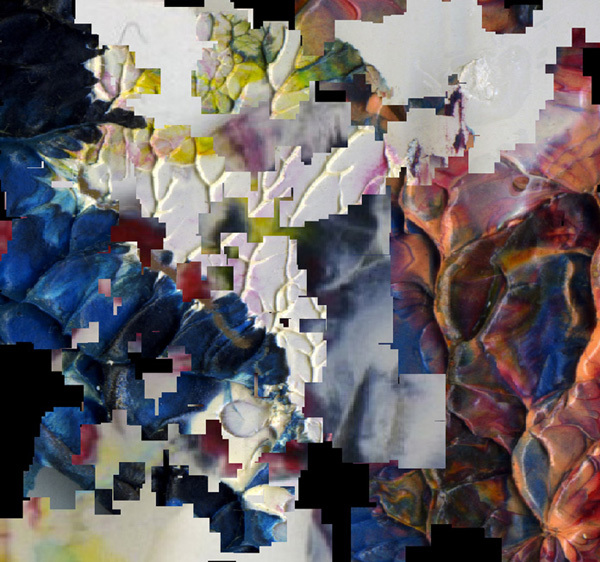 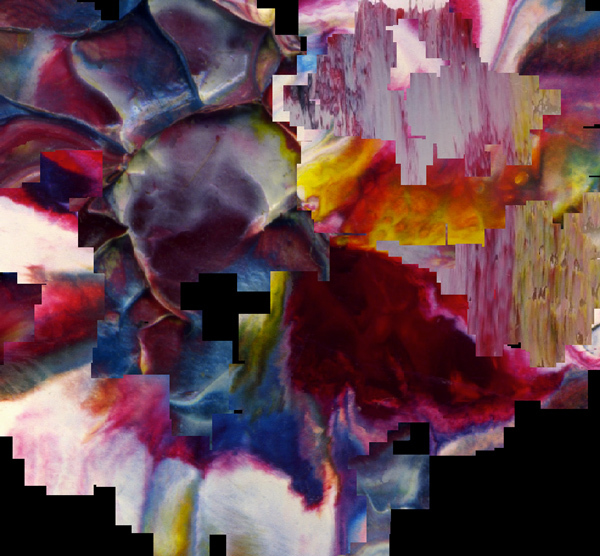 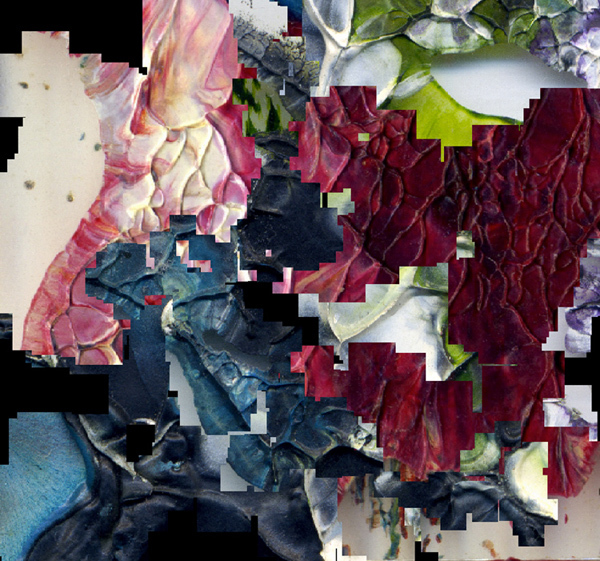 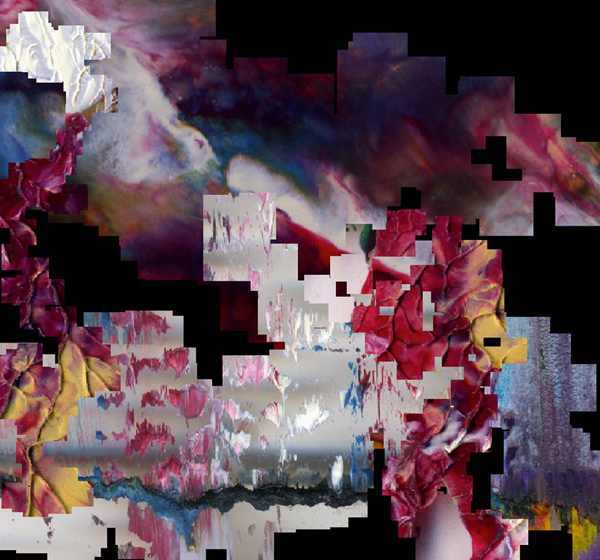 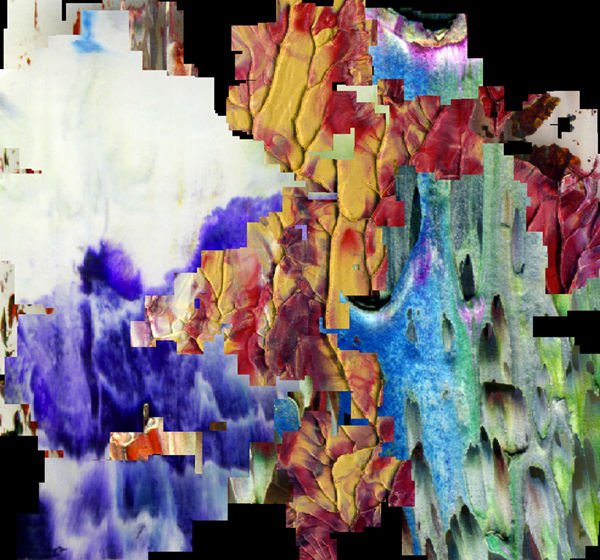 Medium of the screenshot images: Digital Pigment Print on Paper. 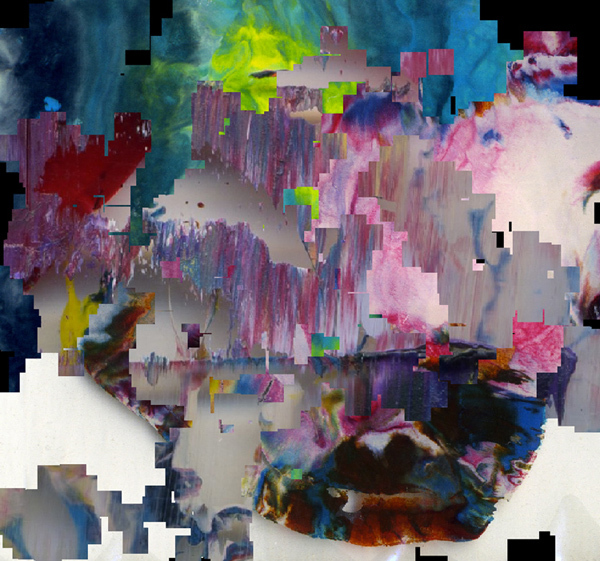 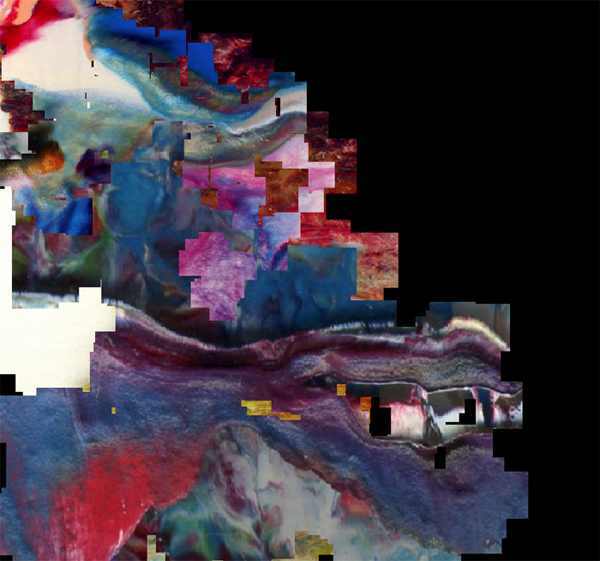 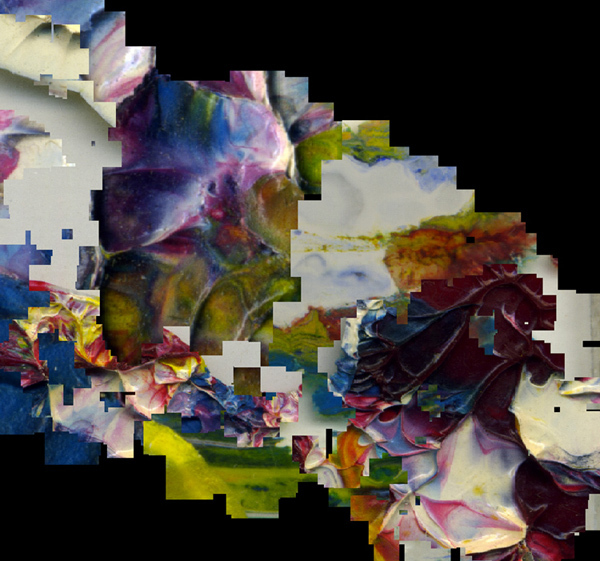 Automatic Abstract Painter No.3 is a computer-based artwork where the projected image on a screen is automatically made and transformed by chance in real time. 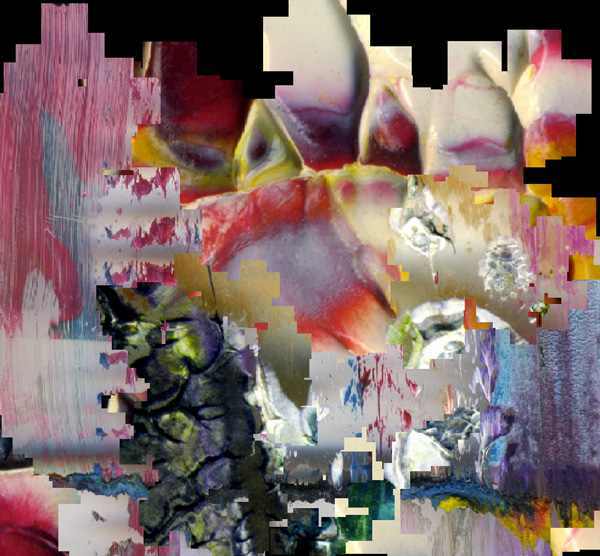 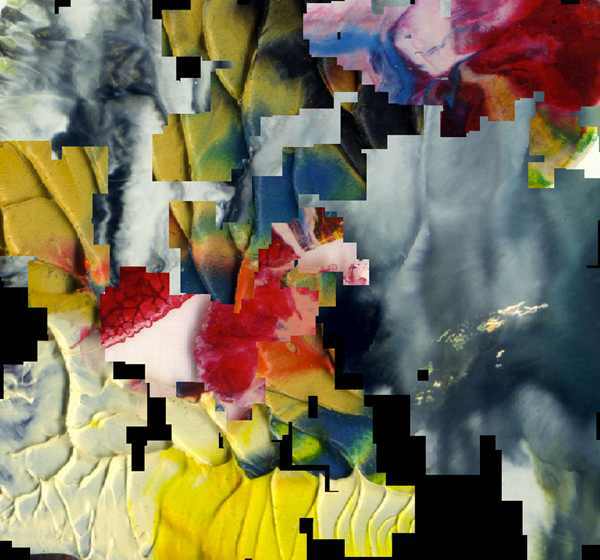 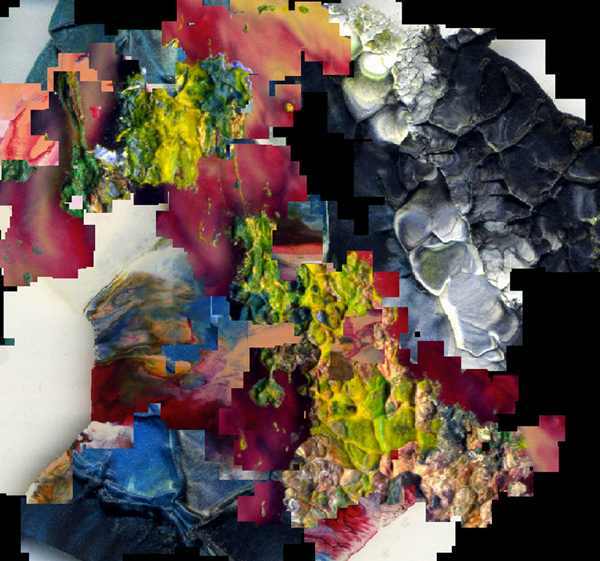 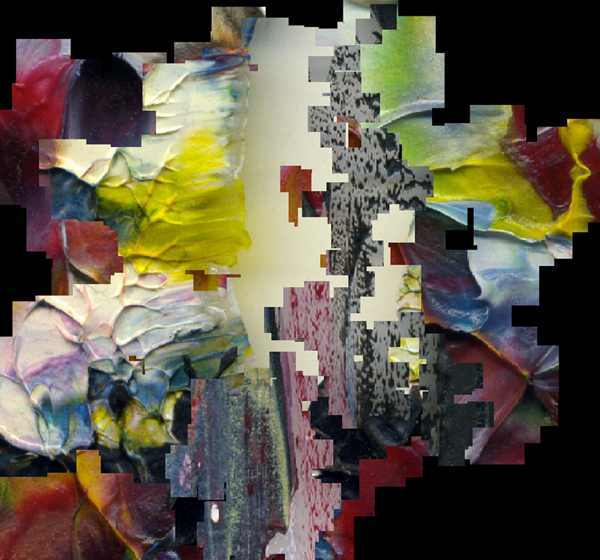 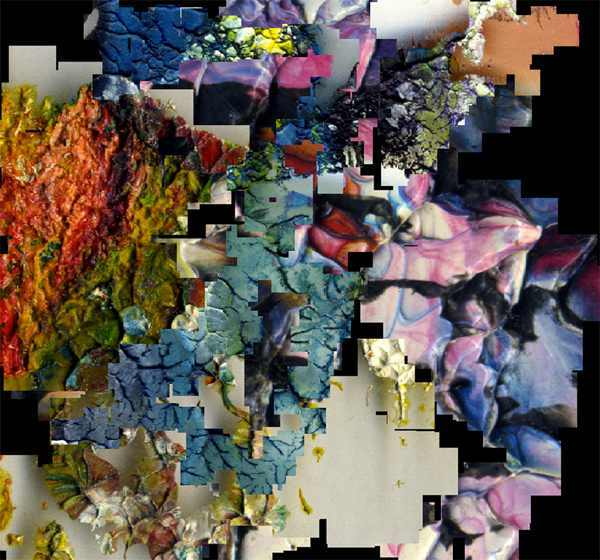 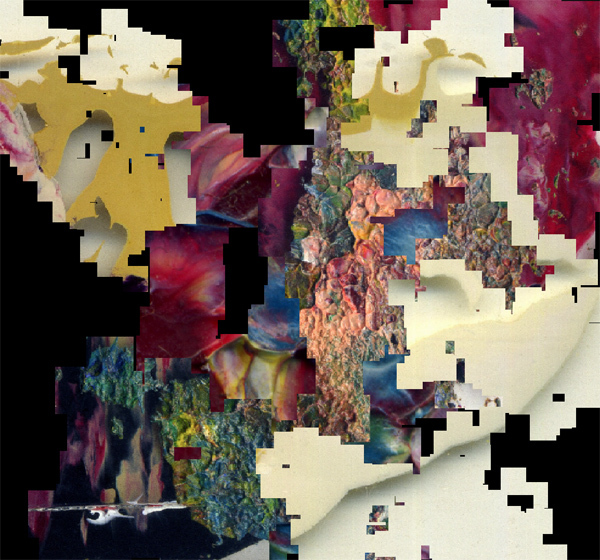 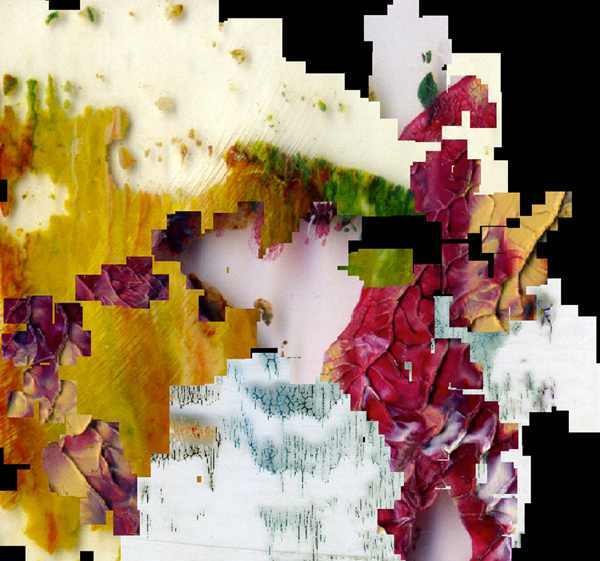 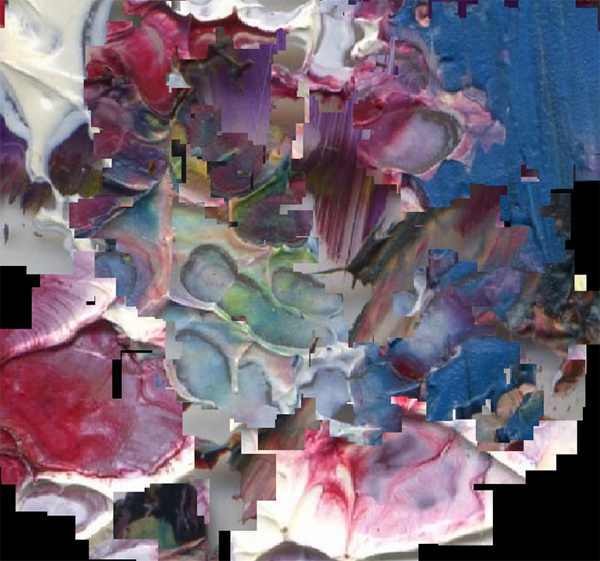 The image is composed and recomposed by layering 3 randomly selected images of painting produced by the artist, and the images are cropped in random shapes by the computer. 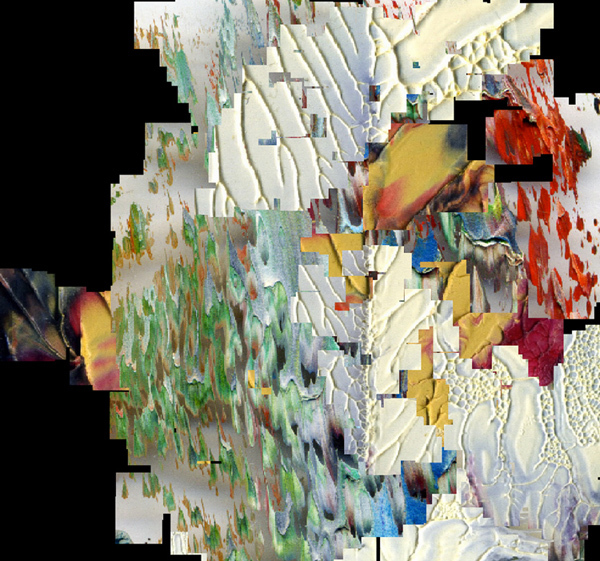 The program generates more than one million variations of the image, which exceeds the human memory capacity. 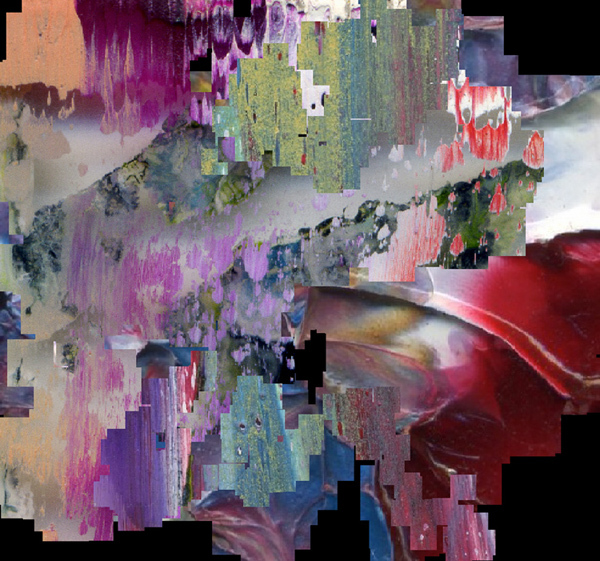 The experience gives the viewer an encounter with countless unknown pictures without much repetition or any finalised form. 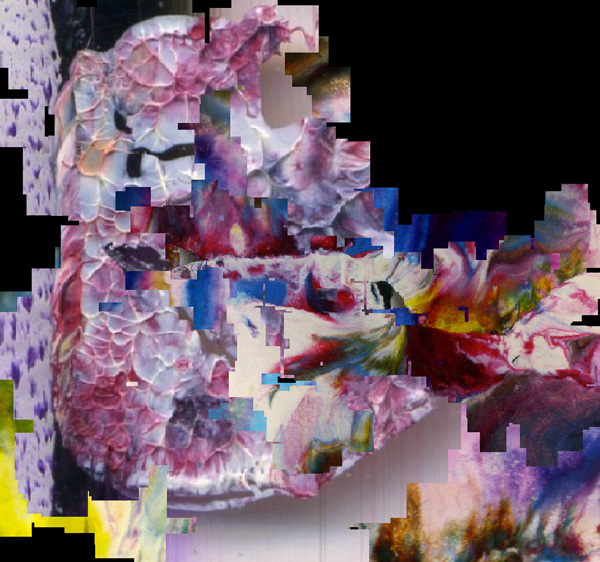 With the latest version of the work (version 4.0), the artist newly presents the work in a way that the computer programme and the screen will be installed in a space, and this space itself will be a time-based mural art where the images produced by the programme proliferate, and the surface of these images expands on the walls temporally. 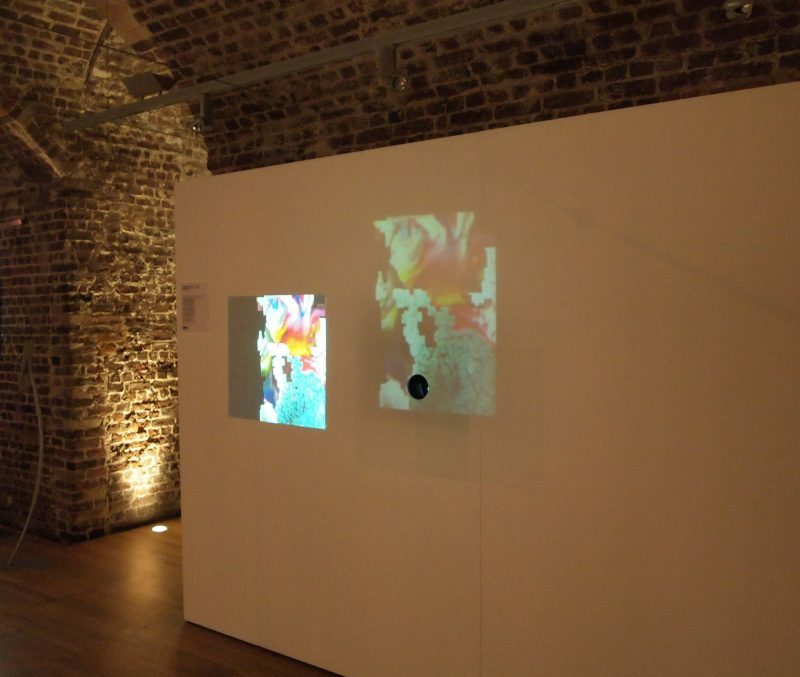 During the exhibition period, the real-time transformation of the image will be recorded, in turn, every now and again the artist selects the recorded images and prints them out, in order to install the images part by part in the space. 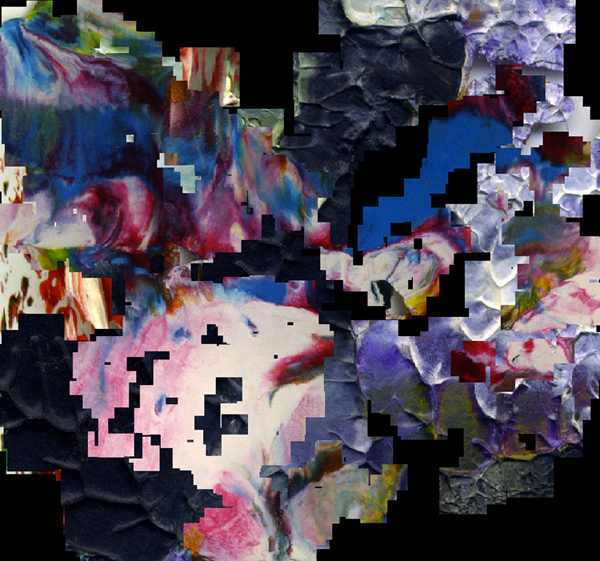 This performance-oriented updating of the space of the installation will be done from time to time, and as the time passes, gradually the space will be filled with more and more images. 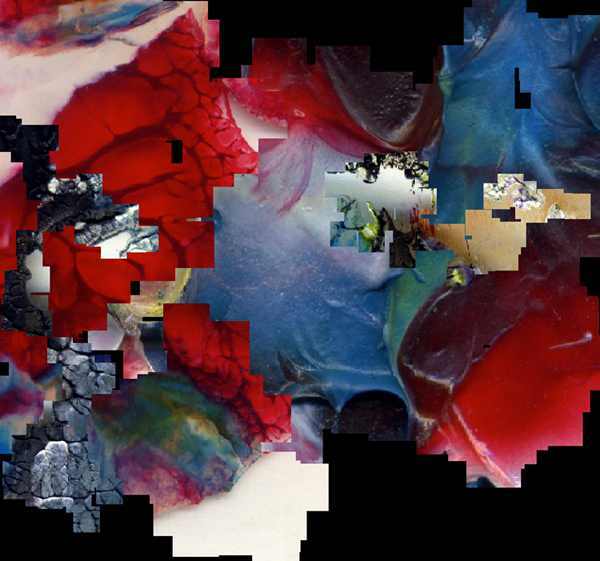 The process of laying images in a space becomes a kind of metaphor for mechanically printing out images in a space. 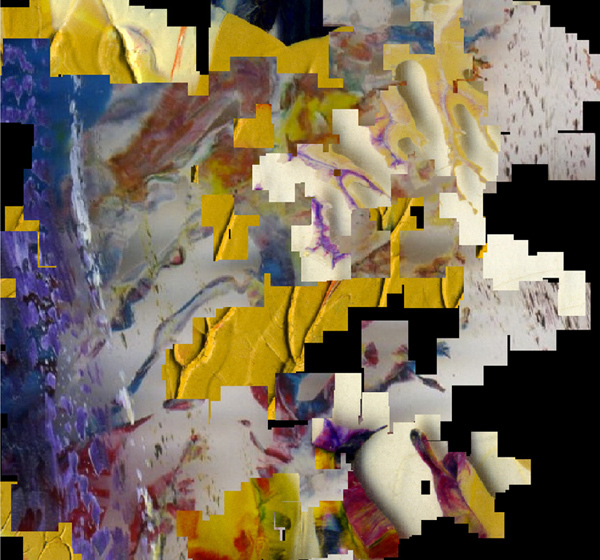 Furthermore, the space will leave the trace of a kind of digital event (i.e. 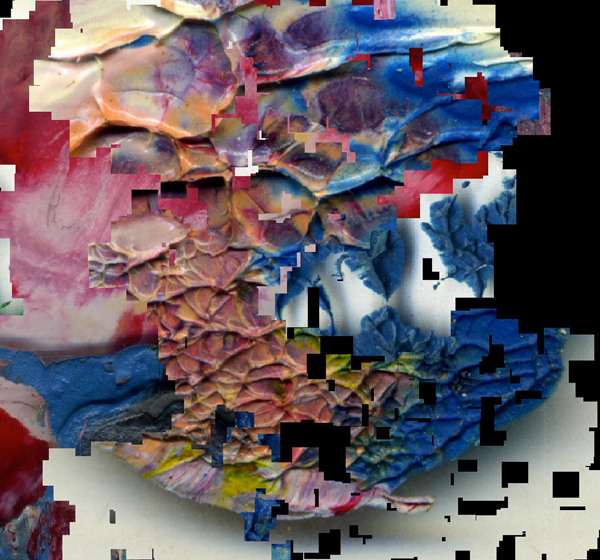 the trajectory of real-time transformations of an image where the transformative pattern is extremely unlikely to repeat, or practically impossible to repeat in the exhibition context). 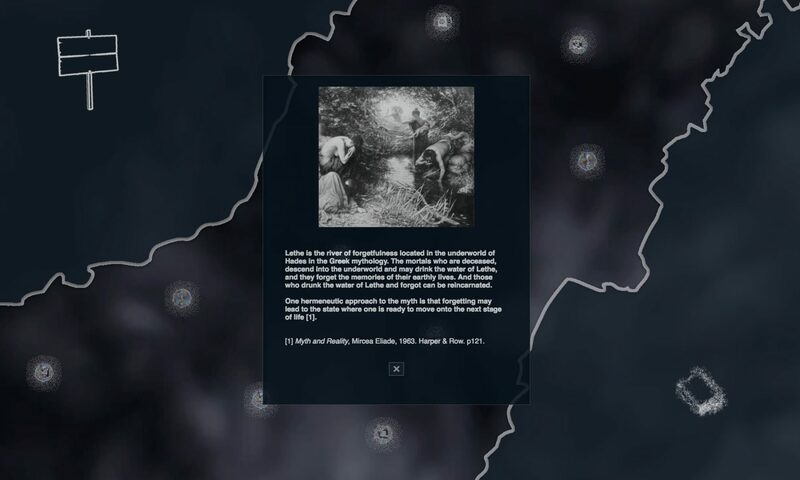 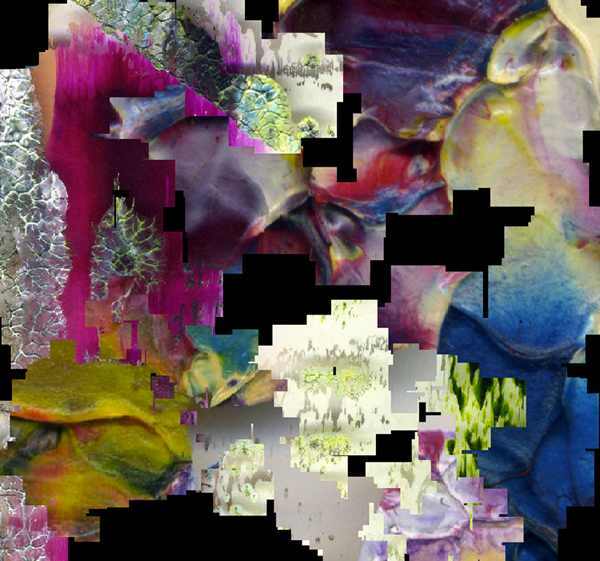 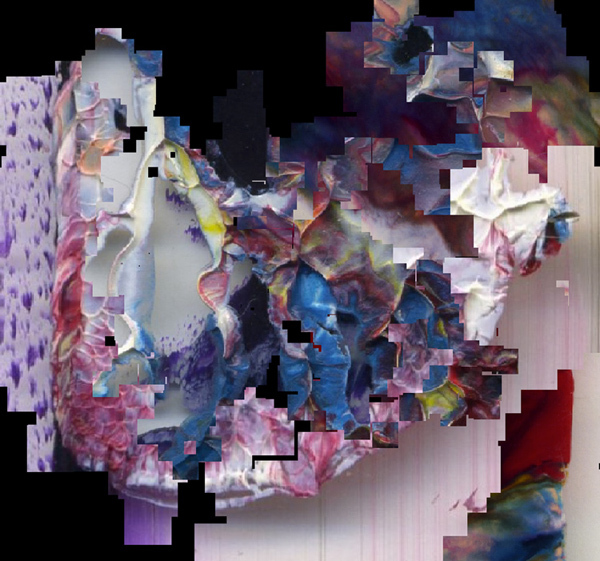 The style of installation makes visible the numerous variations and the temporal changes of the composed image brought about by the algorithmic artwork. 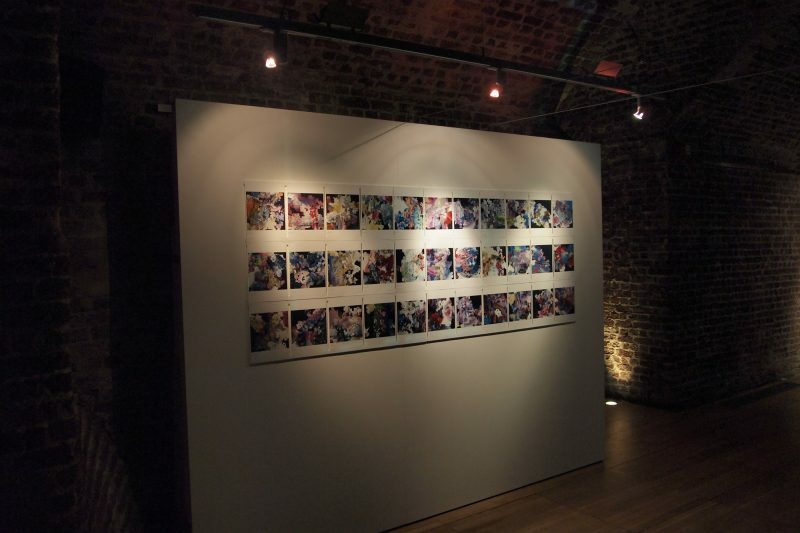 At the end of the exhibition period, the walls of the space will be filled with hundreds of images captured through the process of running the programme. 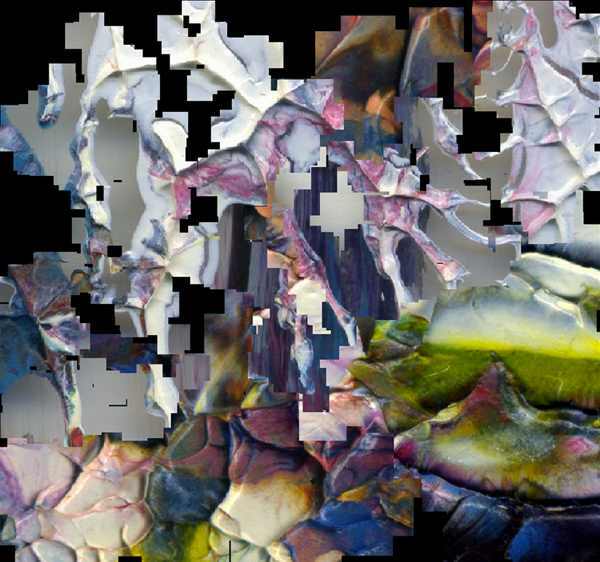 The number of images may suggest the viewer that the abstract space of a computer, where over one million variations exist as potential, is vast and it may be discerned uncomprehending for the human. 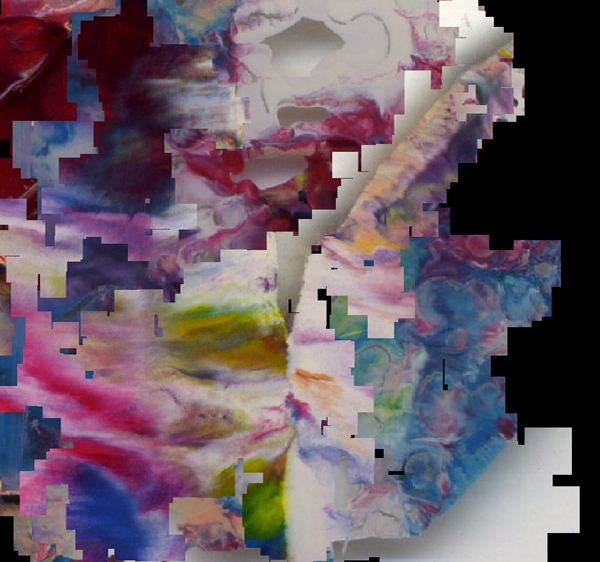 With the work Toya was presented Contagious Nova Award, in Lowe and Partner’s Nova Award series in 2013. 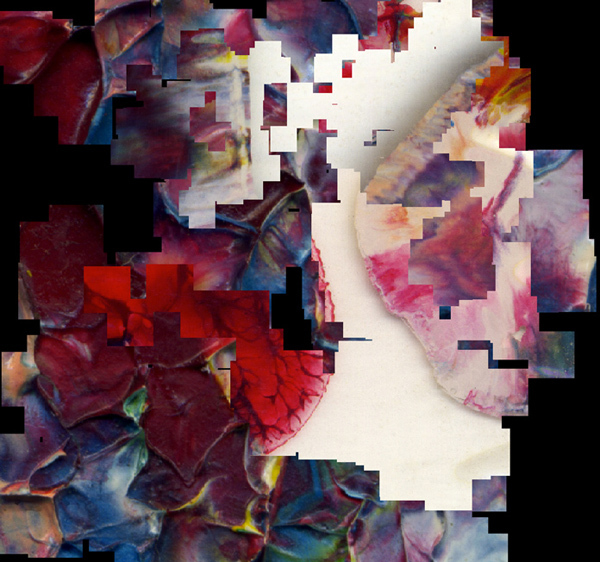 > Shinji Toya – Lowe Nova Awards 2013.